America’s Got Talent: The Champions review: Angelina Hale, Susan Boyle, more perform! 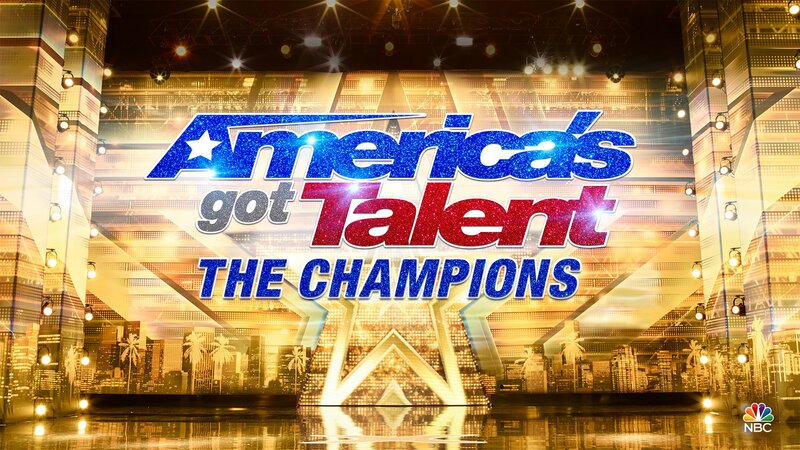 Tonight, the America’s Got Talent: The Champions finale event brought you the best of the world — we definitely wish that there were more performers, but we certainly are happy for this show’s existence, and that there are many people out there getting to hear some of these super-talented acts for the first time. Related AGT: The Champions video – Be sure to check out some more thoughts on the series below! Meanwhile, you can subscribe to CarterMatt on YouTube for some other updates and we recommend that you check out our playlist. Cristina Ramos – She’s outstanding when it comes to being a creative force, and very few people have the go-for-it passion and spirit that she does. What we would say, though, is that it is hard to see her bridging the two sort of styles of music all season. Once you’ve seen it once, the style of performance starts to lose some of its overall effect. Preacher Lawson – Who doesn’t love gym humor? This was so funny, so ridiculous, and so over the top. We haven’t been at the gym enough to know how much of this is accurate, but according to our good gym buddy, it’s not all that far off! Darci Lynne – Well, this is what we call bringing out the big guns! She went out there, and she sang opera! Seriously. We’ve heard her do a lot, but we’ve never heard a puppet sing opera! This was the most impressive thing we’ve ever seen from her in her two seasons on the show. Deadly Games – This wasn’t perfect — there were some issues at the start of the performance! Yet, we would also say that it was thrilling, especially as it went along and when we saw Simon Cowell and the judges subject to holding up balloons for the crossover. It was a nice breath of fresh air for a show that had a lot of singing elsewhere. Kechi – Didn’t love the song choice. Even though she can sing almost anything, we don’t think that there was anything about this performance that necessarily popped. This is one of the reasons why we don’t think she really needed to be in the finals. Brian Justin Crum – Simon Cowell remains the world’s biggest fan of The Greatest Showman and its music on his shows. Other than that, Brian is a tremendous singer and really should be able to appear in however many musicals that he wants. The guy’s still a magnificent, underrated talent. Jon Dorenbos – Jon’s got a lot of charisma and, overall, proved to be a super-great ambassador for the show once more with this performance. We’re not sure that he’s on the level of Shin Lim, but we definitely do still think that he’s in line for a big career after this show. Angelica Hale – She’s a remarkable singer — there’s no denying that at all. She also managed to make “Impossible,” a song that we’ve heard a number of time before over the years, into something that felt very new and powerful. It is crazy to think about her age in the context of what she could do with her career next if she continues down this road. Kseniya Simonova – There’s something so simply and beautiful about watching her. We almost wish that we could just have a half-hour show of just watching her tell visual stories in this particular medium. There’s a darkness to some of what she tells, but there’s light sprinkled within. Paul Potts – Without a doubt, Paul is a one-in-a-million talent like no other. He’s a fantastic singer, a wonderful story, and he’s just the sort of guy you inherently want to keep watching. Is he almost too normal to win? It’s a weird thought, but personality-wise, we wonder. Shin Lim – This is going to be a little bit polarizing. What he did was sensational and he is an awesome magician. Yet, you also have to remember that he has done this before more or less on this past season — the problem is that Shin didn’t really have much time from the end of last season and the start of this one. It’s hard to come up with new material in that span. He’s still near the top of the pack. Susan Boyle – While we’ve heard Susan do this song countless times, it still hits us right in the right — she has brought more life to “I Dreamed a Dream” than we can ever imagine. We’re so thrilled that she was a part of this show, even with songs we consider to be familiar. We’re going to take our time thinking about results, but right now we’d say that Preacher, Kseniya, Darci, Shin, Angelica, and Susan are our top half.